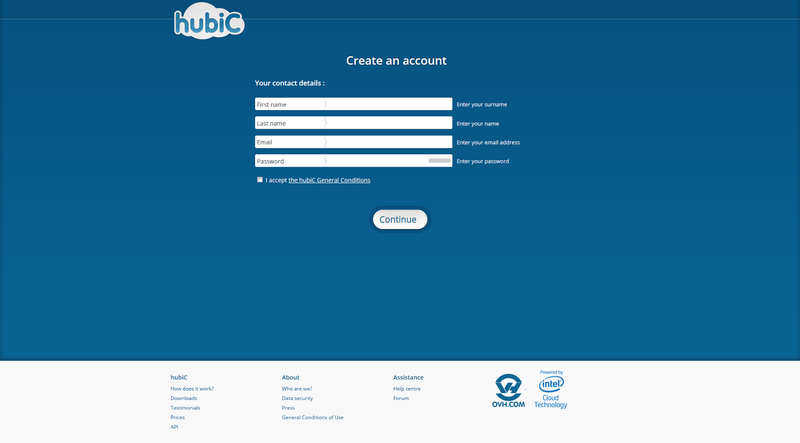 Property of OVH, hubiC is a French cloud-based online backup, perfect for beginner users. Every free account includes 25GB. Although they can't be increased through a referral system, the cross-platform has inexpensive paid plans up offering up to 10TB of space. To join the hubiC community, you need to register. Enter your first and last name, a valid email address and a password. After a verification email is sent to you, it is advisable to activate your account within 48 hours. Otherwise, it will become inaccessible. Your profile has an expiration date of a year. Uploading your files is as easy as joining the service. You can either drag&drop them or use the dedicated button – "Add files". Your data will be backed up almost instantly. 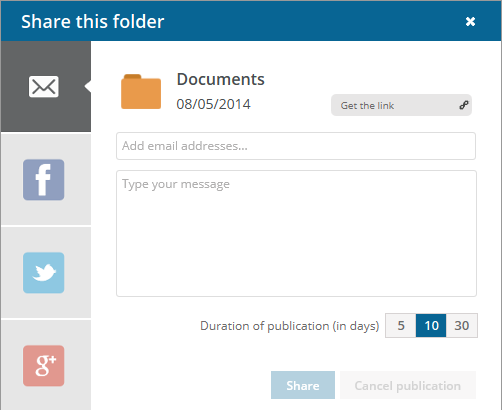 hubiC can also be used to share your files. This feature is dubbed as "Publish" from the cloud storage provider and can be initiated from the specialized button to the right of the file/folder. A download link will be generated, which can be copied or shared through various social applications like Facebook, Google+ and more. The service offers both a desktop and mobile application. The first one acts as a virtual drive on your PC that helps with the upload of larger files as well as their synchronization. You can download it from their official website and access the hubiC folder from the system tray of your computer. While hubiC's desktop version works without a lag, I can't say the same for the storage provider's mobile application. For me it was perfectly useless, as I couldn't even log in without receiving all kinds of errors. Although not the best alternative, hubiC is still an option for beginer users. It is convenient for data backup and synchronization, but don't expect too much out of it. Hubic is useless. How do I remove it?